Provide comfort for the family of Allen Conn with a meaningful gesture of sympathy. Allen Dwayne Conn, age 87, passed away peacefully on April 8, 2019, at his home in Enoch, Utah. He was born on April 22, 1931 in Beloit, Kansas to Clarence Adolphus and Margaret Lucille (Burnham) Conn. He had one brother. He graduated from Beloit High School in 1949. He then served in the Navy during the Korean War on the ship Norton Sound. He met his loving wife Irene at a USO dance and was married on April 24, 1954 in San Fernando, California. They were late sealed for time and eternity in the Logan Utah Temple. He graduated from the Ventura Jr. College with a degree in Agriculture. He worked for the Experimental Station at the University of Nevada in Reno and in Wadsworth, Nevada. He was active in the Boy Scouts of America and received many awards. He later took the opportunity to work as a butcher at the county store in Fernley, Nevada. During his time in Fernley, he was the Branch President and Bishop of the local Church of Jesus Christ of Latter-day Saints. He then moved with his family to Winnemucca, Nevada. He managed a ranch and later worked in the mining industry for several years. He continued his love of ranching and worked on several local farms before retiring to Utah. He also worked for Walmart as a greeter. He was active in the Church of Jesus Christ of Latter-day Saints and served in many callings. He enjoyed his time serving as a temple worker in the Reno temple. He retired to St. George, Utah, and recently moved to Enoch, Utah, to be closer to his family. He is preceded in death by his parents, brother, Jack, and son David, son-in-law James and great-grandson Brendan. He is survived by his wife, Irene of 64 years and children Linda(James), DeeDee(Jay), Bill(Lisa), and Susan. He has 13 grandchildren and 15 great-grandchildren. Our family wishes to thank the Intermountain Home Health & Hospice team for their kindness and support. Funeral Services will be held on Friday April 12, 2019, at the Enoch Utah West Stake Center at 11:00 a.m. with a viewing from 10:00-10:45 am, just prior to services. Interment will be in the Cedar City Cemetery under the direction of Affordable Funeral Services in Cedar City, Utah 435-586-3456. In Lieu of flowers contributions may be made to Nevada State Bank for Dwayne and Irene Conn.
To send flowers in memory of Allen Dwayne Conn, please visit our Heartfelt Sympathies Store. We encourage you to share your most beloved memories of Allen here, so that the family and other loved ones can always see it. You can upload cherished photographs, or share your favorite stories, and can even comment on those shared by others. 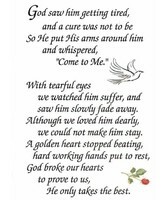 Provide comfort for the family of Allen Dwayne Conn by sending flowers. I always enjoyed visiting with Brother Conn at church. He was always so jovial and happy and his laugh was contagious! I remember he always had a warm handshake and a smile. Brother Conn will be missed. Today and always, may loving memories bring you peace, comfort, and strength. I am so thankful that I had the opportunity of knowing Brother Conn. We first met when I was a teenager and he had first moved to Winnemucca. He was always so welcoming and accepting. I appreciated his warm smile and happiness.